2013 Toyota Tacoma Double Cab PreRunner SOLD!!! Home > > Vehicles > 75351 > 2013 Toyota Tacoma Double Cab PreRunner SOLD!!! 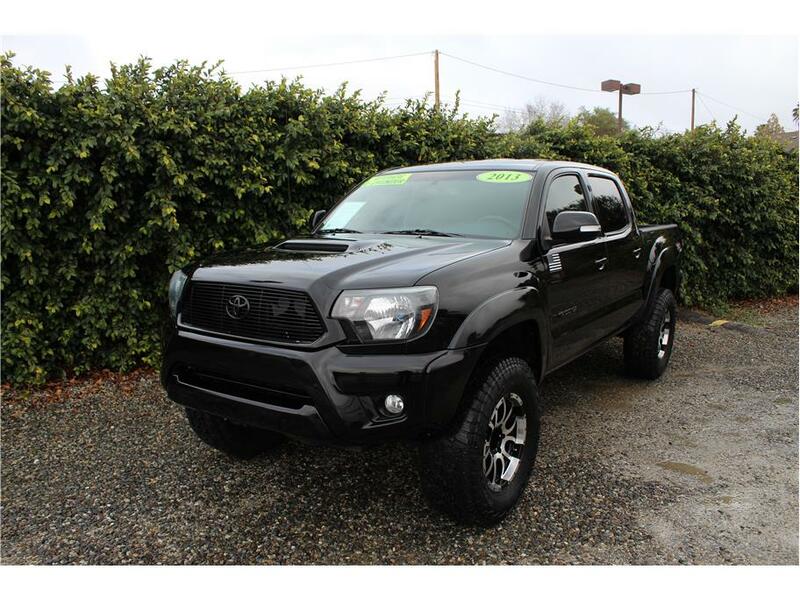 This 2013 Toyota Tacoma Crew Cab has the powerful V6 4.0L engine with an automatic transmission and only 75k miles! An awesome Tacoma like has great appeal with nice touches like a factory hood scoop, Leveling kit, 285/70/17 Falken Wild Peak A/T tires wrapped nice alloy wheels, Blacked out badges and grille, smoked tail lights, Bluetooth with steering wheel controls, USB/AUX and power group. This Toyota just went through a complete 151 point inspection and received a fresh oil change, air and cabin filter, spark plugs and front brake service. A Tacoma with these miles and in this condition Is hard to come by. Don’t let it pass you up. Come test drive it today!